Relive happy moments while living the good life at The Magnolia Residendes. Located in the sae spot where the Magnolia Ice Cream House used to stand, it is a place where families, friends and lovers celebrated special occasions and created sweet memories. Enjoy the ease of living in a self-contained community. Imagine living in a quiet neighborhood and at the same time, be able to walk to the commercial complex to buy every thing you need. At The Magnolia Residences, you don't need to drive and worry about traffic, with the commercial complex just located next door. It doesn't get any easier than this. The Magnolia Residences is the residential component of the Magnolia Town Center, the first master-planned, mixed use high-rise residential and commercial complex in New Manila. This five-hectare development is envisioned to be a self-contained community where you can enjoy all the conveniences of urban lifestyle right where you live. Enjoy the charmed life at The Magnolia Town Center. Relish the convenience of living in a master planned complex at The Magnolia Town Center. Residents of the four towers will surely take pleasure in having a commercial complex steps away from the comforts of their home. Chic cafes, renowned restaurants and bars, four state of the art-cinemas with stadium style seating, an alfresco area to house specialty food outlets facing The Plaza - alush park and activity area, and established local and international retail shops complete the perfect setting for a shopping and entertainment center and provide for the future residents' interests, whatever their passions may be. parlor which is mere minutes away, convivial cocktails with girlfriends at the moment's notice or immediate satisfaction for a desire for chic new clothes -such is the charmed life at The Magnolia Town Center. Everything is within reach to make the most out of your life. Experience a home where everything is within reach. Situated in New Manila, The Magnolia Residences is accessible via the city's major modes of transportation such as the LRT II line. It is in close proximity to hospitals such as St. Luke's and Cardinal Santos, as schools like St. Paul University, Xavier School, Immaculate Conception Academy and La Salle Greenhills. 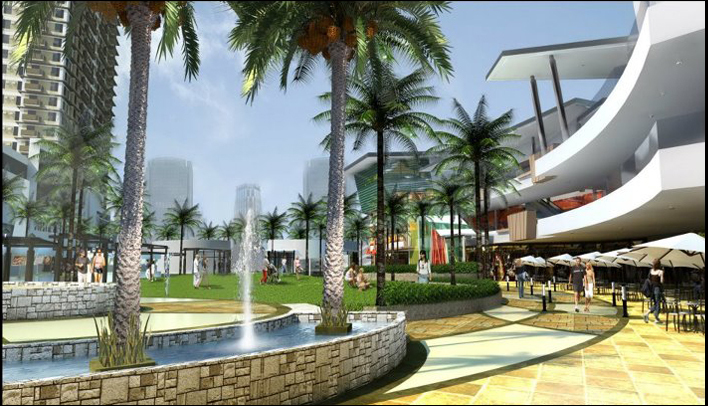 The location also facilities access to main roads leading to key urban hubs like Greenhills, Makati, Cubao and Ortigas.